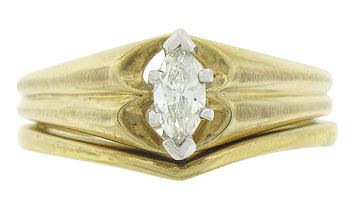 A dazzling .25 carat marquis cut diamond appears to float above the face of this glorious 14K yellow gold estate engagement ring. 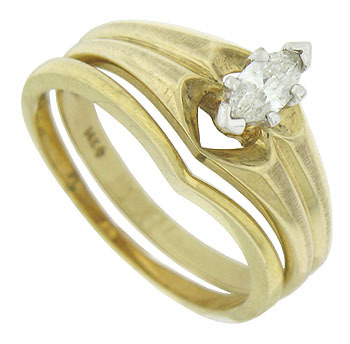 The lovely ring is paired with its matching wedding band. 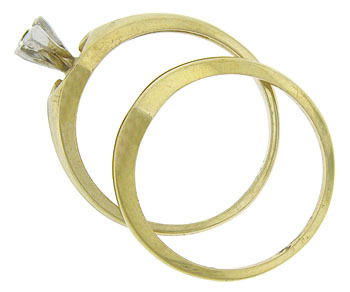 The ring measures 8.70 mm in width. Circa: 1950. Size 6 1/2. We can re-size.